Ghost Adventures with Zak Bagans is about to make Halloween night a lot more terrifying. Lead investigator Zak Bagans is planning to make paranormal history. He’s going to host a live four-hour investigation of his Haunted Museum in Las Vegas, Nevada. What better way to celebrate Zak’s Haunted Museum success than to have him investigate live. He will host along with, Aaron Goodwin, Jay Wasley and Billy Tolley investigate live. Seems like Halloween night is the perfect choice for Zak Bagans and the crew to commemorate the one year anniversary of the museum. The four-hour investigation features special guest host John Gates of Expedition Unknown. Zak, Aaron, Billy and Jay will push themselves harder than they ever have before. 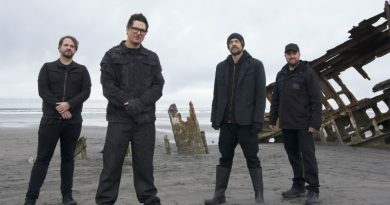 The Ghost Adventures crew will investigate the 33 rooms in the mansion as well as other haunted objects located inside. The Travel Channel shared news detailing some of what is expected during the live investigation. 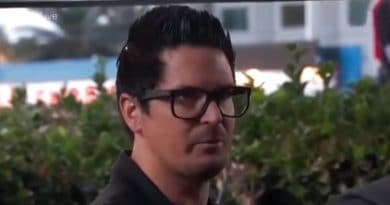 Zak Bagans will attempt to open the infamous Dybbuk Box. The box is an ancient wine cabinet that is believed to house a very malicious spirit. Zak himself has witnessed a black cloaked figure moving through closed doors where the box is located. Furthermore, along with investigating the Dybbuk Box, Zak, Aarron, Jay and Billy will interact with Peggy the Doll. 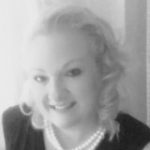 Peggy is dangerous and believed to cause heart attacks. More than 30 cameras will be positioned throughout the museum. GA fans can help the Ghost Adventures Live crew find real time evidence. The Travel Channel Facebook Live platform allows fans to monitor live video stream. Through this platform fans will be able to comment and report findings live using #GhostAdventuresLive. Comments will feed directly to Travel Channel’s Social Command Center, monitored by digital host Andrew “GUNNAROLLA” Gunadie, who will share with Josh Gates and the “Ghost Adventures Live” team. The live Halloween event will feature many special guests and experts. These guests include Dave Schrader, Lady Snake, Chris Fleming, Michael and Marti Parry along with others. While the crew has investigated demonic things many times before, Zak Bagans will have an ambulance and exorcist on site in case of an emergency. Then once the Dybbuk Box is opened, Zak’s not sure what nightmare awaits him. Regardless, this live television investigation is sure to go down as one of the best in history. Following the conclusion of the Halloween special, Ghost Adventures fans will be wanting more lock-downs and fast! Fans will not wait long. A new season of Ghost Adventures airs November 3. Along with the new season, fans will have the opportunity to enter giveaways. The grand prize will be a trip for two to Zak Bagan’s Haunted Museum. Be sure to check back regularly to Soap Dirt for the latest spoilers and news on Ghost Adventures.